The result further increases the influence of the country’s previous leader over the new government and recently-elected president, Felix Tshisekedi, who surprisingly won last year’s controversial presidential election. Critics suggest Joseph Kabila has engineered a path for him to retain control over the government after constitutional term limits prevented him from running for a third term last year. “The Common Front for Congo (FCC), which hails this resounding victory, confirms its supremacy as the premier political force in Democratic Republic of Congo,” national coordinator for the ruling coalition, Nehemie Mwilanya, said in a statement on Friday. New president Felix Tshisekedi’s surprise election win was undermined by accusations of election fraud and suspicion he had struck a deal with Joseph Kabila to secure the victory. His leadership was promptly compromised when the FCC won a 70 percent majority of seats in the lower house of parliament in provincial elections also held on December 30 last year. 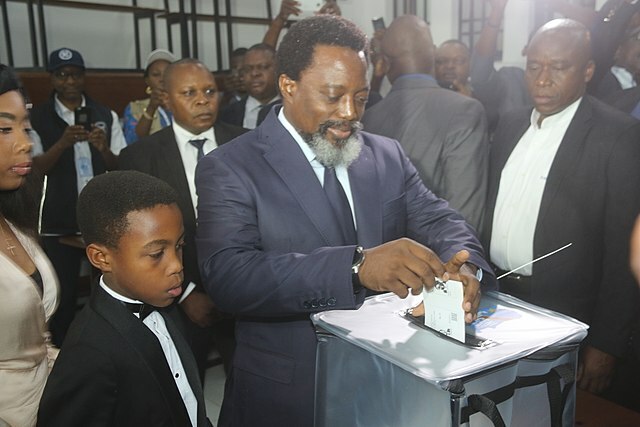 Now, the FCC has also won an overwhelming majority of seats in the senate and Joseph Kabila is automatically granted a seat in the upper chamber as a former president. In the DRC, the political party with a parliamentary majority retains a strong influence over government decisions and the FCC’s senate majority further limits the powers of Felix Tshisekedi. Critics suggest the new president will be unable to implement any political changes without the approval of Kabila’s FCC coalition, effectively reducing his role to a ceremonial leader.